The technology of the iPhone X and the iPhone 8 allows a lot of creative uses. You never know when you will find a great story to tell , and if you have a good camera on hand, like the iPhone, you will know that you will always be able to capture it with the best quality . But, precisely because it has a multitude of uses, it can be a little complicated to master them all. But that's what we're here for, to lend a hand to take advantage of your device. In this case, we will talk about how to adjust your smartphone to record in 4K or ultra high definition, in addition, you can choose between three different modes of recording in high quality. In order to activate them, you will have to access the Camera menu in the Settings app, where you will find the Record video section. In this submenu you can find three modes, which differ in terms of the rate of images per second. Depending on the rate you choose, the video will be more or less fluid. On the other hand, it is important that you bear in mind that it will also influence the size of the recording, increasing according to the fps rate. In addition, you should know that you have to choose the High efficiency mode within the Format submenu, which is also in the Camera section, otherwise, you can not activate the 4K mode at 60 fps. Thanks to these small adjustments, you can control the quality of your videos as much as possible. Now you just need a good narrative, or a good excuse to hit the record button on your iPhone. 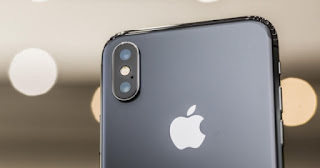 We assure you that you will see your videos with an exceptional definition and fluency, and all thanks to the iPhone X technology. And you, do you already get the most out of the iPhone camera?